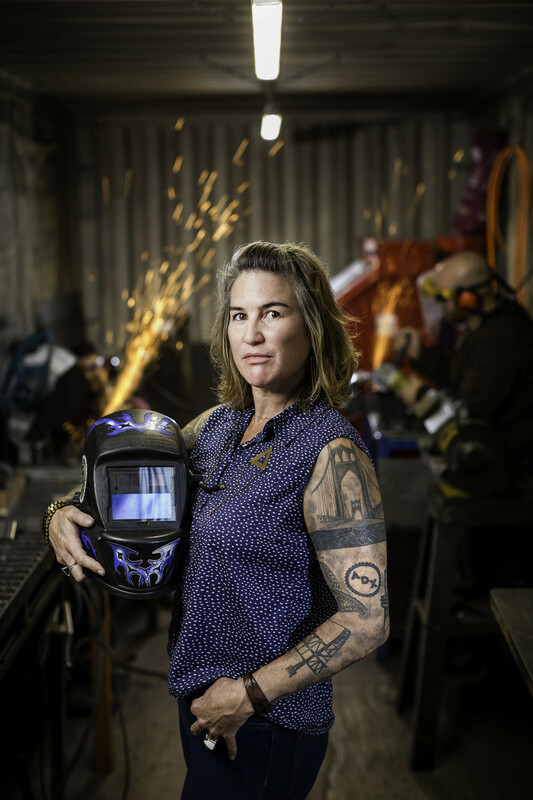 Did a shoot with badass Kelly Roy the founder of ADX for Portland Monthly. ADX is all about collaboration, with a woodshop, metal shop and digital lab where you can share tools, knowledge, and space. We love supporting places like ADX and also really like making sparks so a set of high-fives all around.